We offer a no win/no fee service on all claims. Contact us now to discuss your case. Once we've assessed your claim, we'll carry out all the necessary steps and keep you informed all the way. You will know right from the start what deductions will be made from your compensation to cover success fees and insurance policies. A big thank you to you and your team Mark. I wanted to say how impressed I have been in how you have fought my case over the last 3 years, and without a shadow of doubt, your professionalism in the case and how you have dealt with my incident has been very impressive and of the highest standards. Thank you so much for all your hard work over the past 3 years. I really appreciated your advice and help. Thank you for acting on my behalf and making what has been a difficult time a lot easier. If you’ve been injured in an accident that was not your fault, you may be able to claim compensation. Our personal injury specialists have a wealth of experience in helping clients to successfully pursue all kinds of accident claims. 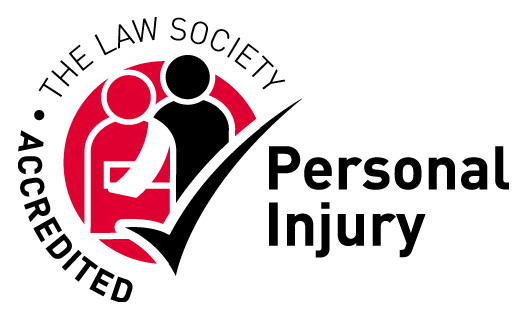 Our team comprises members of the Law Society Personal Injury Accreditation Scheme and the Association of Personal Injury Lawyers (APIL), so our skill, expertise and quality of service are assured. We offer a no win, no fee service, subject to a success fee; in accordance with legislation. We will tell you at the outset of your case what the maximum percentage to be deducted from your compensation will be. This will cover our success fee and payments such as your insurance premium, if applicable. If we don’t win your claim for you, we don’t get paid, so its in our interest to win! We are also proud to be a member of National Accident Helpline’s panel of solicitor firms. We are one of only a select number of specialist personal injury solicitor firms across the UK working with National Accident Helpline to provide the highest quality of service, as set out in its charter. Contact us now for a free initial consultation and we will be happy to discuss your case and advise you on the strength of your claim.